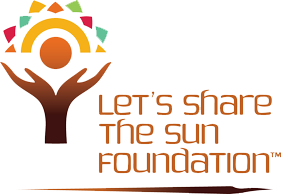 Let's Share the Sun Foundation is donating a solar powered system to the COCINA Coalition of Children in Need Association located in Ouanaminthe, Haiti. The school is the only building that has 24 hour electricity. Future applications such as introduction to the World Wide Web would increase the school's ability to teach local children English, math and science. We hope to continue to send children home with charged lanterns so that children who live in houses without electricity can bring solar powered light home for studies. Overall, having access to 24 hours of electricity is increasing everyone's ability to see a better path to the future. This would not have happened if the local kids were not given the opportunity to see the light, we all know that the sun shines for all, so Let's Share The Sun. This will take place August 6th - August 10th, 2016.